Valentine’s Day is quickly approaching and it feels like we just wrapped the December holiday season. When it comes to Valentines gifts – some go big, some go small, some don’t go at all. If you’re in favor of gifts, it can be a challenge to come up with that something special after just exhausting all of your gift ideas for loved ones back in December. So I wanted to share some ideas to help spread the love around this year – I think we could all use a little more love right now, don’t you? My favorite way to show love is through cooking and baking Valentines treats. But I know purchased gifts are the preferred option for many, and certainly always appreciated by the receiver! 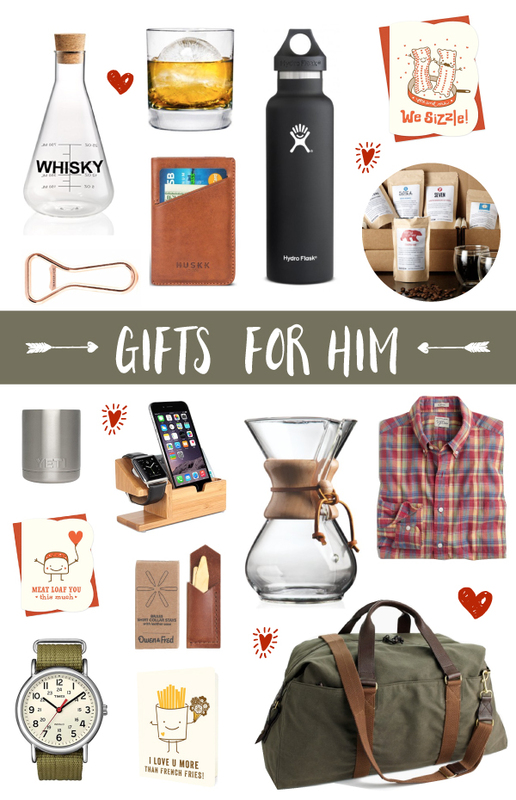 So here’s some ideas for him, for her and for kids. Sphere Ice Molds: these molds take drinks to a whole new level of cool. Water is transformed into ball shaped ice cubes that melt slowly into, say a glass of whiskey, or whatever is his drink of choice. BPA free and dishwasher safe. Bean Box Coffee Subscription: for the guy who loves coffee, this is the ultimate way to try new blends. Sample sized bags of freshly roasted coffees from Seattle’s top-rated, small-batch roasters, mailed to your guy once a month. I gave a subscription to my husband for his birthday and we both loved it so much that we gifted it to my dad for Christmas. Pair this with the Chemex Glass Coffee Maker and you’ll have a pour-over coffee that rivals any coffee shop around. Secret Wash Shirt: you can’t go wrong with these shirts. So soft and comfy that your guy will actually want to wear it. In an array of patterns and plaids, they pair nicely with jeans now and will work with shorts once the weather warms up. Just roll up the sleeves and go. Bashful Beige Bunny – this brand of stuffed animals is the best, so soft and furry and lovable. My daughter is attached to her mumble puppy – it’s been her favorite since she was teeny tiny. 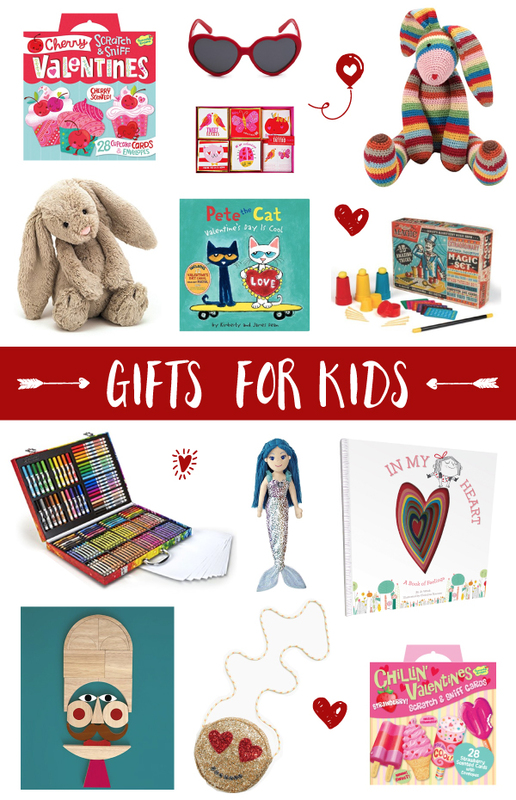 Pete the Cat- Valentine’s Day Is Cool: Pete The Cat books are always a big win in our house because they’re great for beginning readers. This one is cute for Valentine’s Day – but our current favorite is Pete The Cat and the Missing Cupcakes with its rhyming rhythm and adorable cupcake theme! Inspiration Art Case: a suitcase full of washable crayons, markers and colored pencils to keep them creating for hours. My daughter has had this art case for over a year and it’s still a go-to favorite. The suitcase container makes cleanup and storage a snap – plus it’s easy to tote along. In My Heart Book: this book made me misty-eyed the first time I read it. With beautiful illustrations, it covers emotions in a way that both you and your little one will love. It’s such a good one! This list has you covered for everyone from your sister to your best friend and back. Who can resist all the pink cuteness, especially that adorable Eyelashes Mug! And no one will shy away from a complement card declaring you are better than unicorns and sparkles, combined! Today’s post contains affiliate links. 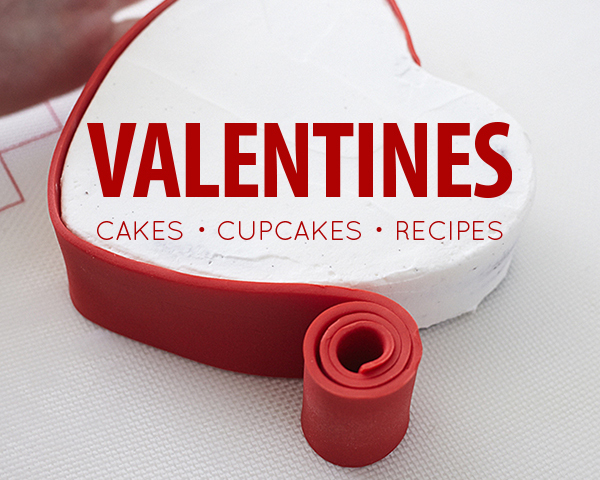 Find recipes and tutorials in our Valentine’s Day Gallery!